Welcome to Gaitech’s Education Portal! Gaitech is proud to provide you a comprehensive educational framework on Robot Operating System (ROS). We provide a series of online tutorials on ROS that will help you getting familiar with ROS quickly. For technical support, updates, and getting responses to queries related to Gaitech EDU website, you need to register to the Gaitech EDU Forum. To stay updated with any news about Gaitech EDU and receive new tutorials when posted you need to register to the Gaitech EDU Mailing List..
Gaitech EDU is an educational website on robotics and in particular on Robot Operating System (ROS). The objective is to provide an easy-to-follow educational content that helps in better mastering the concepts of ROS and promoting its use for developing robotics software. Gaitech company strives to contribute to the development of ROS and provides its customers and ROS users with technical support and an open education framework to learn ROS. Gaitech Education website is NOT meant to be a substitue of ROS wiki documentation website, but a complementary website that is more oriented to providing education and teaching material. In principle, any ROS user should first go through the ROS wiki beginners tutorials, at least for installation, setting up the environment and understanding ROS framework. Gaitech EDU website provide high-quality tutorials in both textual and video format with open source code and instruction of usage. Some of the tutorials in ROS Wiki documentation were reproduced with more details and concrete illustration for faster introduction to the main concepts such as publisher/subscriber paradigm, topics, messages, etc. 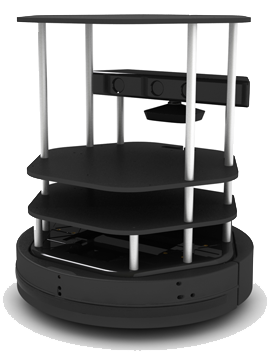 In addition, Gaitech EDU website provides a educational content on the Turtlebot robot for both simulated robots and real robots. In addition, Gaitech EDU provides solution to some common problems faced by ROS users. As the primary objective of Gaitech EDU is to promote education of ROS, tutorials were designed with teaching objectives in mind. Each tutorial starts with Learning outcomes that the student or the learned is expected to know at the end of the tutorial. Then, the tutorial is provided in both textual format and/or video illustrations. Finally, a series of review questions are proposed so that the student self-evaluation his understanding about the concepts presented in the tutorial. Gaitech EDU can be helpful in diffent ways. First, it can be used by self-learners to consolidate their understanding of ROS and robotics by going through the different tutorials. Furthermore, it can be used by Turtlebot robot users as we provide a series of tutorials with illustration on how to test, use, and develop program for the turtlebot robot in both simulation and real robot, which is the defact-standard robot for ROS learned. Third, it can be used as a teaching resources by instructors of courses. If you are an instructor and would like to use the education content of the Gaitech EDU website, please contact us, and send us your comments. We will add instructors who are using Gaitech EDU website and link to their courses’ webpages. Yes. Gaitech EDU strives towards updating the educational content and maintaining it. Several tutorials will be added regularly and existing tutorials would also be updated when needed and based on feedback and comment of Gaitech EDU users. If you are interested to stay tuned with any content update, you can subscribe to the Gaitech EDU Mailing List. However, there are no pre-defined periods of updates. Order your Turtlebot by clicking on the Turtlebot image below.